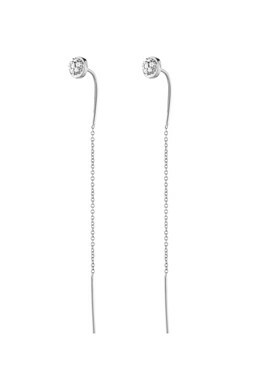 Our exclusive Sterling Silver Collection: Elegant and radiant studded earrings in polished Sterling silver created with tiny white cubic zirconia crystals. 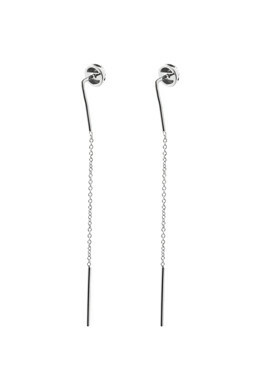 Long thin chains are attached to the stud, which will hang down from the backside of the ear. A very beautiful detail that fits both your everyday- and party look. With butterfly closure.